Made of an ultra-transparent, low-iron glass, patterned glass has unique patterns with a varying degrees of privacy and diffusion. Patterned glass also has a virtually colorless appearance. These glasses are ideal for interior commercial and residential applications such as doors, windows, lighting, partitions and foyers. Made of an ultra-transparent, low-iron glass, Solite™ has a unique pattern with a degree of privacy and diffusion while having a virtually colorless appearance. This glass is ideal for interior commercial and residential applications such as doors, windows, lighting, partitions and foyers. Pixel-73™ is an extra clear patterned glass formed with a diamond pattern on one face and a smooth pattern on the other face. This ensures high energy transmission over the whole solar spectrum. This, combined with the excellent durability of glass makes it a product of choice for photovoltaic modules. Skytex is a clear, linear patterned glass offering moderate privacy. It is temperable and laminatable. 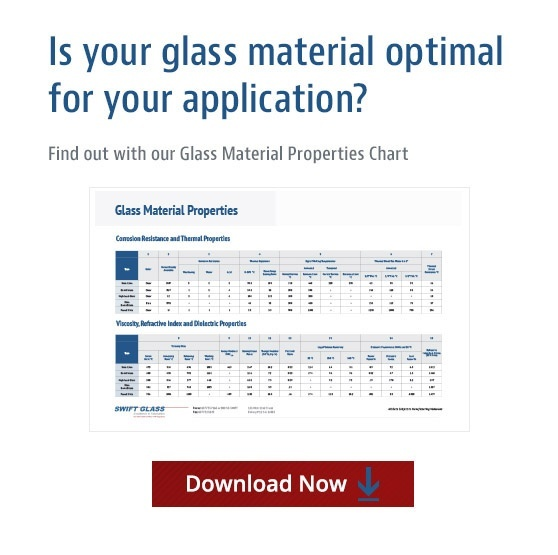 To learn more about the materials we offer, contact Swift Glass today.